How do we invest in improving your journey? As with other years, Chiltern Railways will be running a festive timetable between 23 December and the 02 January. Chiltern Railways will be running additional after-midnight services from London Marylebone to help customers see in New Year in the capital without having to leave the celebrations early. 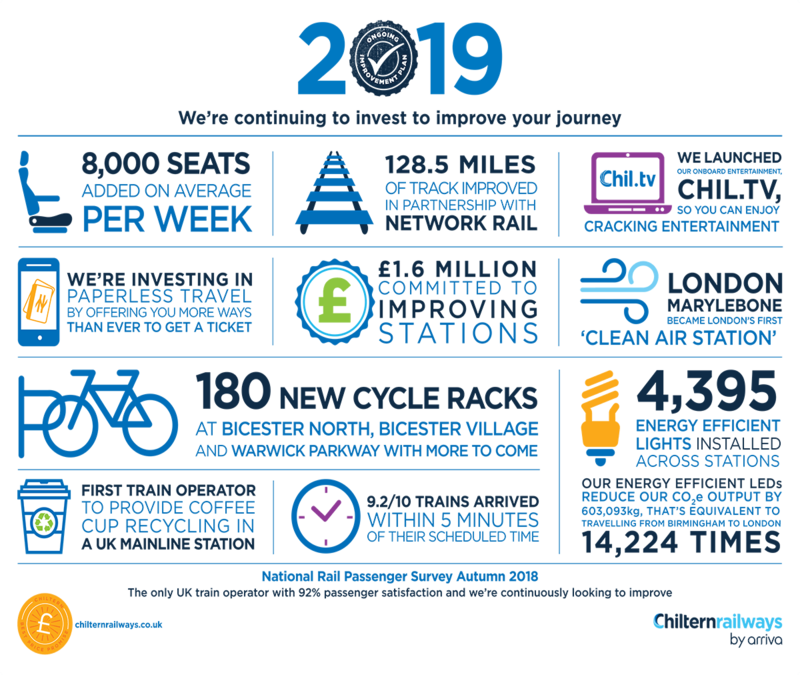 As with other years, Chiltern Railways will be running a festive timetable between 23 December and the 2 January. Our new timetable will start on the 9 December 2018 and run until 18 May 2019. This builds on our previous timetable but with some further improvements.